I blinked, and it was the end of January! Holy smokes. February is right around the corner, and yesterday was the first time I thought about Valentine’s Day. It’s not a huge holiday in our family, but we still do like to do something nice to celebrate at some point during the week. Though as of today, we’ve made absolutely no plans, and I have no gifts for my people’s yet! Oopsie! What are you doing for Valentine’s Day? Do you have any plans? Going out? Staying in? Did you buy any gifts for your loved ones? Spouse? Partner? Littles? I need ideas, you guys!! LOL! In other news, I hit 11 weeks of my pregnancy with Baby #3 this week, and I’ll be heading to the doc tomorrow, so I would absolutely appreciate any prayers or good vibes you could send my way! I am feeling okay. A little nauseous and super exhausted the past few weeks, but overall it’s been easier than my last two pregnancies, so I can’t complain too much! I think someone upstairs is being kind to me this time around know that I have two little dudes to chase on the regular. I have been feeling a little more energy this week and been listening to my body when it comes to nourishment and exercise. My January Challenge Group is ending tomorrow and my February one will be starting on Feb 5th and is all about SELF-LOVE!!! I plan to continue to listen to my body and do what it needs for myself and baby, and I’m looking forward to supporting all of the amazing ladies who have been crushing their programs and those who will be starting fresh this month as well! There is still a little bit of time and a few spots left to sign up to join us on Monday, so please reach out if you’re ready to take action and reach some goals this upcoming month! Hope you all are having an amazing week, and sending you lots of love! Found these photos from a wedding I went to back in June that I never got around to posting. It was a beautiful, gorgeous evening in Upstate NY with family complete with a full vegan healthy menu and lots of dancing, which is my kinda party! 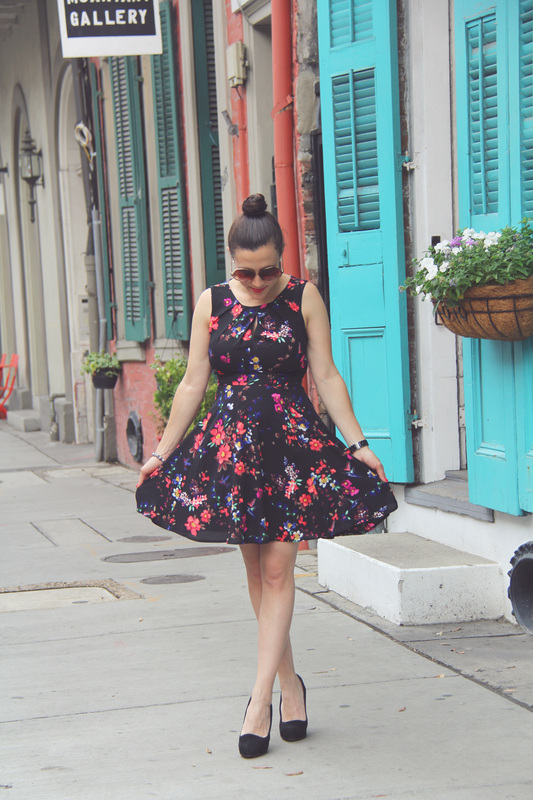 Love the bright boldness of this dress and even more, the entire design is embroidered! I definitely need another excuse to wear this one next spring. It’s been a little nutty over here and there is a lot of shuffling going on, but we are trying to get into the swing of things, and I am enjoying having a little more time to write, build my coaching business, and have a little bit of a breather again during the day. Whether you have kids or not, there is definitely something to September having that “Back to School” vibe. It’s almost like the new January in a way. Back into routine. No more late summer nights. I have to say I’m enjoying the routine aspect of it, and I think the kiddos are appreciating too. Cheers to a fresh fall start! What are you most looking forward to for this upcoming season? No, I’m not traveling to Miami, but this “Miami Maxi” by Olive & Oak is the perfect flowing dress for summer! Fancy enough to dress up for a wedding, but easy going enough for a Sunday BBQ, this is one of my favorite versatile looks for summer. Plus the colors are just gorg! June was the month of weddings for us! Lots of traveling, lots of love, and lots of dressing up! 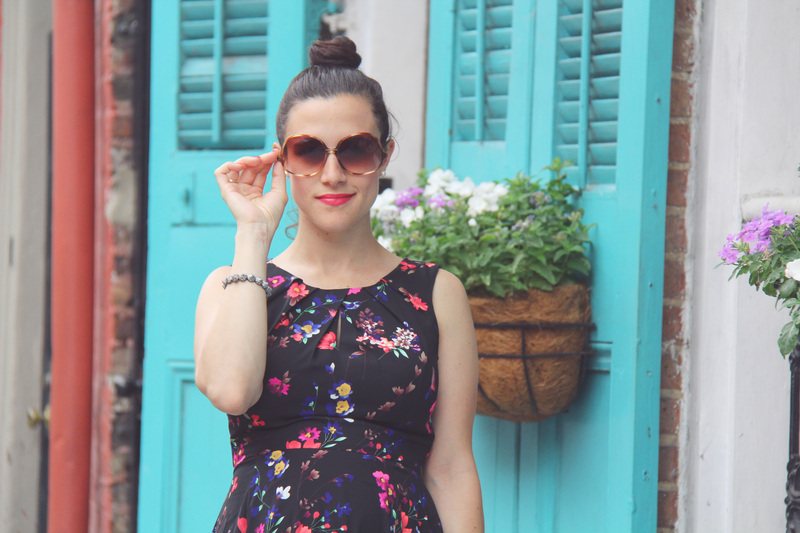 Will be sharing some more summer wedding looks on the blog here in the next couple weeks, so stay tuned. We spent this past week at the lake in the Poconos with friends celebrating Independence Day. It’s getting tougher to “relax” the more kiddos we add to the mix here on vacation haha, but we did have a great time! Today in my challenge group it’s “Random Act of Kindness” Day. It seems that the world could surely use a little (or a lot) more kindness, so I would love it if the rest of you could also participate in this little challenge! Please do at least one random act of kindness for today and report back in the comments section when you have done something KIND! Hope you all had an awesome weekend, and cheers to a great week ahead! These photos were taken back on Easter weekend, when we had the most gorgeous Saturday at my parent’s house. It was so nice to be outside in their beautiful yard in Maryland where the grass is green and the flowers are starting to bloom. Of course my Nico couldn’t get enough of swinging in the new hammock my Dad put outside. We caught up with friends, dyed Easter eggs, and I even got a (much needed) fresh hair cut. Many thanks to Nikki for the new locks and style! Since that weekend, it’s been a bit frigid up here in NY. Hoping that spring weather will come back around again soon. Today is Day 3 of 21 Day Fix Extreme. Whew! It’s definitely challenging. I am feeling the burn, feeling myself getting stronger already, and dialing in that nutrition again. Wish me luck staying on track tonight on my dinner date with a friend! Back at you this Friday with the full outfit post. I had so many of you ask where I got this darling sweater below. I got it around Christmastime at Nordstrom, and it is made by Halogen. Unfortunately, it’s no longer in stock…even at Nordstrom Rack. I have searched high and low for something “similar” but have come up short. Halogen does make another cute sweater though that is on super sale at Nordstrom Rack right now and is also very soft with embroidery if you want to check that one out. Looks like there are a few left if you hurry. Sorry to disappoint. I was hoping to find something similar, but maybe Halogen will come out with another great find soon! Also, this sweater is not super similar, but along the lines of Paris and French things, I do love this one as well from Catherine Malandrino via Neiman Marcus Last Call. Additionally, I scored this houndstooth coat marked 50% off at H&M right before Christmas. I tried it on while babywearing and had no idea if it was truly going to fit me, but I decided to take the risk, and I’m glad I did! Have a date night planned with the hubs tonight and a busy, but exciting weekend ahead! TGIF! It’s tough to find the time to get in an outfit shoot these days, especially with the cold weather with two little ones when your husband is the photographer. I promise I still get dressed…sometimes. Well, at least on weekends. But enough with the excuses. We made it happen last weekend. 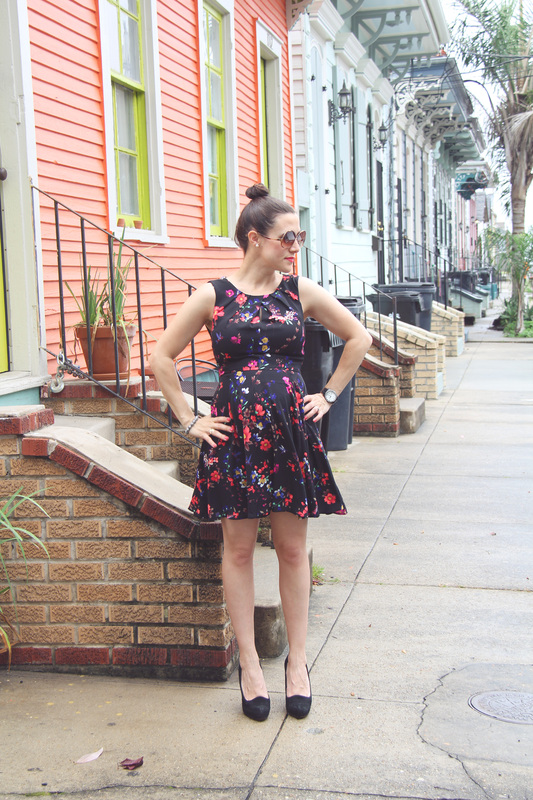 A casual outfit for a casual day…brunch at Bar Bacon (amaze! ), the playground, and a walk through Central Park. The kids both slept through brunch, so it was kind of like a date. It was nice to get into Manhattan and have the kids feel the magic of the city and the tall buildings, but also to escape to our favorite city sanctuary of Central Park. I digress…speaking of my hometown…we will be heading back there on Friday after the boy’s doc appointments (6 and 2.5 yr. check ups already!). Saturday we will be celebrating my baby boy Luca as he will be officially welcomed into the Church! Very excited to celebrate his special day, which he will also share with his Papa who is turning 35! Looking forward to a day of family, friends, and celebration! Happy Monday gang!!! It’s been busy around here with holiday travel last week, playing catch up with work and family, etc. 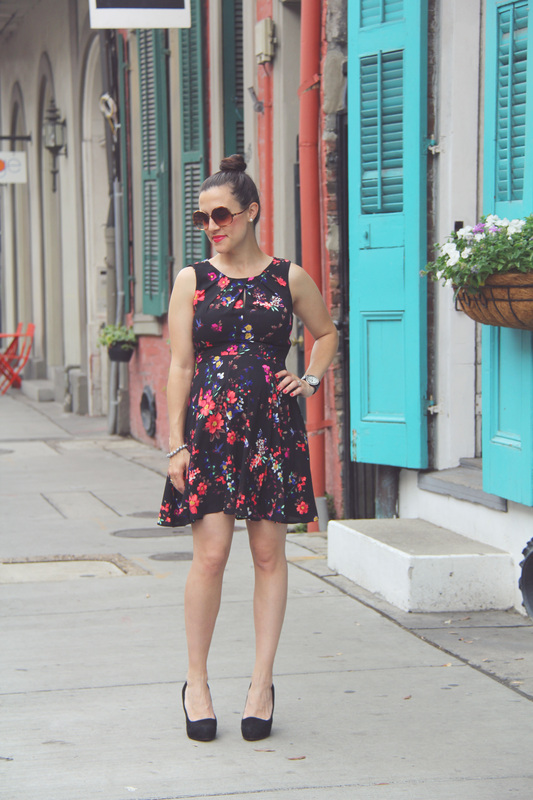 Wanted to share another look from my anniversary trip to New Orleans. I was about 25 weeks here, and can you believe today marks 27 weeks!?!?!? That’s right, I’m officially in the THIRD trimester!!! This pregnancy is just flying right by. We had some good updates from the doc last week, so I am feeling good. This week is off to a great start with a good workout, healthy eats, and getting down to business. We had a nice weekend celebrating the wedding of dear friends, and it was a lot of fun seeing high school bests from Maryland in my city. Can’t believe it’s already June, and I’m so excited for what this summer has in store! reading Aaaaaand I’m still reading The Goldfinch. Haha might possibly be the longest it’s ever taken me to get through a book that I didn’t absolutely hate. LOL. I also just finished Eat That Frog, which is an excellent book about time management and making the best use out of your time. Picked up lots of great business tips in there. writing I recently had the privilege to interview Shannon Fitzpatrick for Autism Awareness month about her son Chase and how Autism has impacted her family. Thank you Shannon for opening up about your experience, and hopefully this can help and inspire those going through something similar. listening To Nico say “I love you too” this morning, just about MADE.MY.DAY. Love that kid. 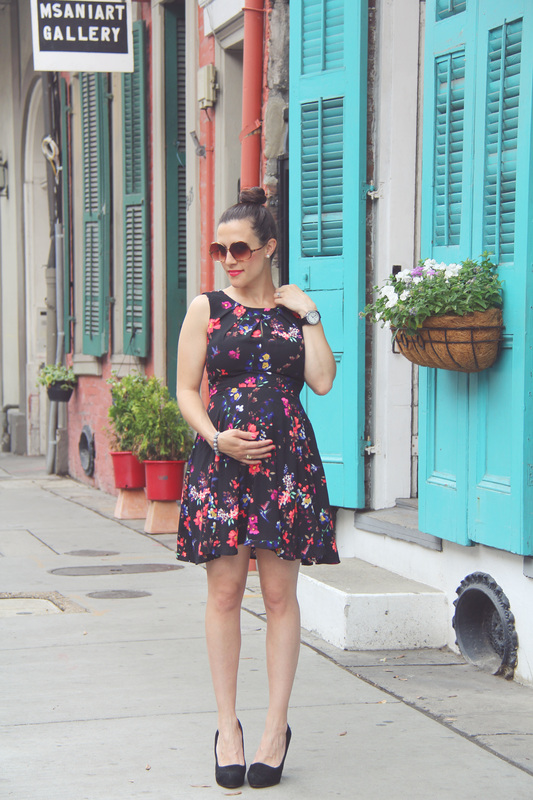 thinking About some ideas for an upcoming post on the best exercises to do while pregnant. smelling The deliciousness cooking at my local cafe and Monday “office” Cafe Madeline. watching Revenge on Netflix. I had been wanting to watch this show for awhile, but didn’t want to jump in without seeing the first few seasons. So I decided to catch up via Netflix. It’s dark, but captivating! wishing A Happy Birthday to my (pretty much) brother-in-law, Adam! Hope it’s amazing and wonderful just like you! hoping That Nico has a fun time at his first dance/movement class today! Wish I could be there with him, but Mama’s gotta get some work done. loving The sunshine! It’s been very nice out the past couple days, and I am relishing in it! Even broke out my floral spring pants this morning as you can see from above. needing To go shopping for some new clothes this spring. Yes, I know I have the perfect maternity clothes already in my closet from my last pregnancy, because the babe will be born at the same time of year as Nico…but can you blame me for wanting something new? feeling Pretty good! Aside from a little back pain (which PiYo totally helps with by the way! 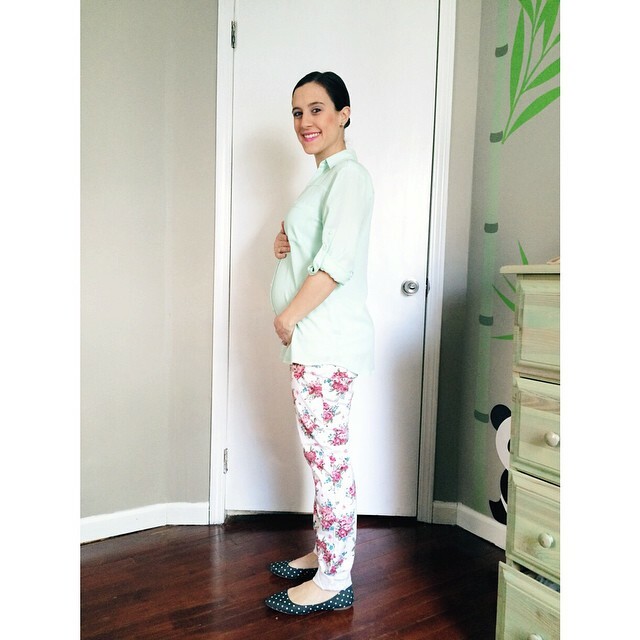 ), I am feeling pretty good during this second trimester. 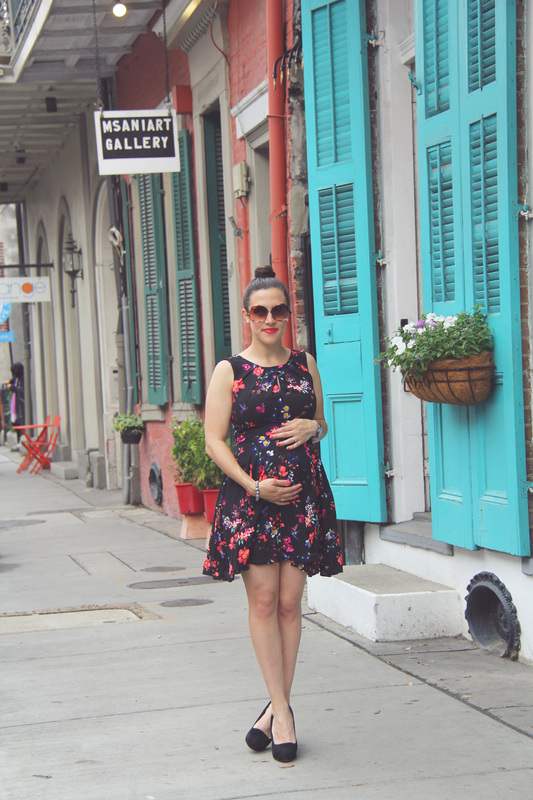 How I wish the whole pregnancy could be like the second trimester! Haha. craving Ditching alllllll my cravings for processed sugar this week as I am hosting a 7-Day (No) Sugar & Squats Challenge! Today is the first day (50 squats down baby! ), so feel free to shoot me an e-mail if you want in! clicking Through apartment listings. Trying to figure out if it makes sense to move before we have our little one. We could technically squeeze in our current place, but it will be TIGHT. The problem is that finding anything bigger is going to be a huge increase in expense (my guess), and we have such an amazing deal now that it’s hard to leave. We shall see what the future brings! 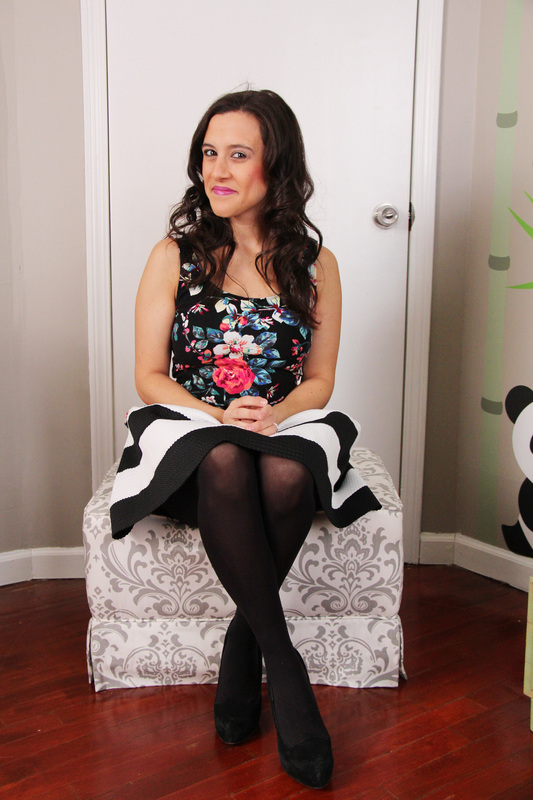 I love to mix and match different patterns, and florals with stripes are probably my most favorite combo. As long as you stay within the same color palette, I think it works. I was happy to have an excuse to get all dolled up for my friend’s bridal shower. It was a beautiful event, and I was very grateful to be invited! I am working away from my local farm fresh cafe this morning, and headed home to pack this afternoon for our trip to Maryland for Passover & Easter. We are lucky both of our families live close to each other so that we are able to spend the holidays with everyone! I know Nico is especially excited to see his fam!